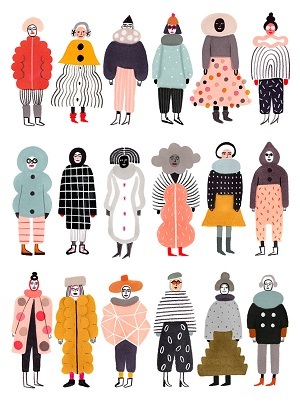 My latest crush: the rich and colorful work of Emma Jayne. Sailors, ladies, gems, plants and so many more colorful delights can be found in her gorgeous illustrations! I love all the details and patterns that hide in her work. And those brightly colored cheetahs.. love! I have a weak spot for colorful pottery. 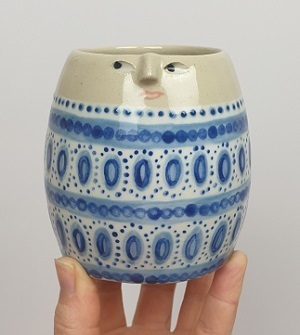 And Lydia Johnson’s beautiful handcrafted mugs just made my heart pound a little faster. So many gorgeous colors and patterns! Lydia is an artist in residence and adjunct faculty at Appalachian Center for Craft in Smithville, TN. 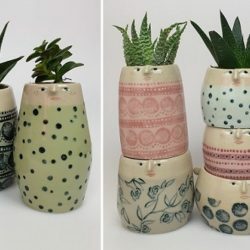 Besides these fabulous mugs, you can find many more of her creations on her website. Also, have a peek at her Instagram where she shares inspiring shots of her works in progress. Artist Naomi Okubo keeps dazzling me with her paintings that pop off the canvas with so many stunning colors. Love the patterns and her incredible attention for detail. See the paintings on the wall in the first image below? They are actually small versions of her own works she created previously! 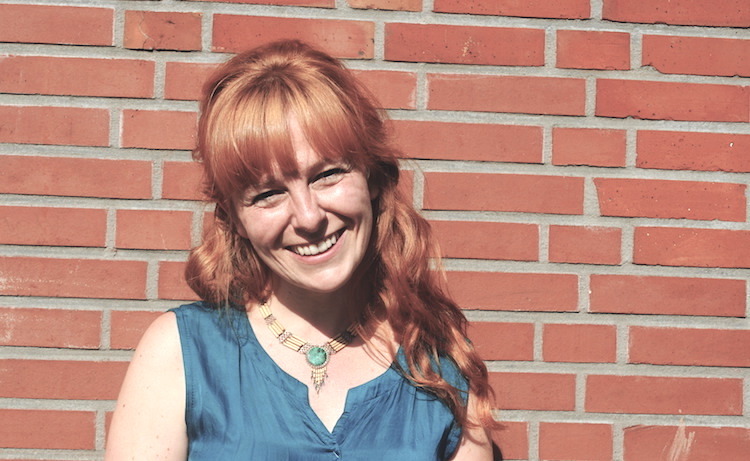 Originally from Tokyo, Naomi is currently based in Brooklyn where she is participating in various exhibitions. If you’re lucky enough to be around New York this summer: Naomi will take part in a show called On Illusions, which opens on August 4, 4-6 pm (in collaboration with Cuchifritos Gallery and Residency Unlimited). I had the pleasure of meeting Naomi in her Tokyo based studio back in 2015, where she showed me some of her paintings and talked about her working process. You can read more about it here! 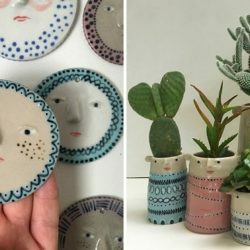 For everyone who’s obsessed with pattern, Katrin Moye’s colorful ceramics are an absolute treat for the eye. I can’t stop staring at the dots, leaves, flowers and all the other details that cover her beautiful handmade creations. And the colors.. so gorgeous! 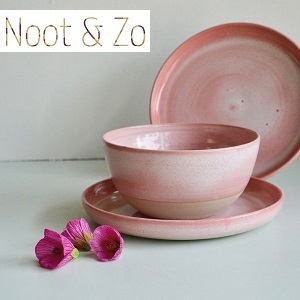 Katrin Moye is an award winning ceramist who specializes in tableware. Her designs are based on patterns and motifs from the 50’s and 60’s. 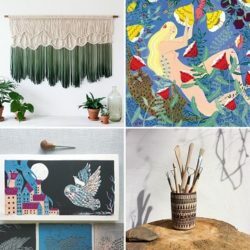 She is also inspired by her ’70’s childhood memories and objects in daily life that remind her of this period such as wallpaper, picture books and cushions.